I just want to say as I begin today that God is faithful! 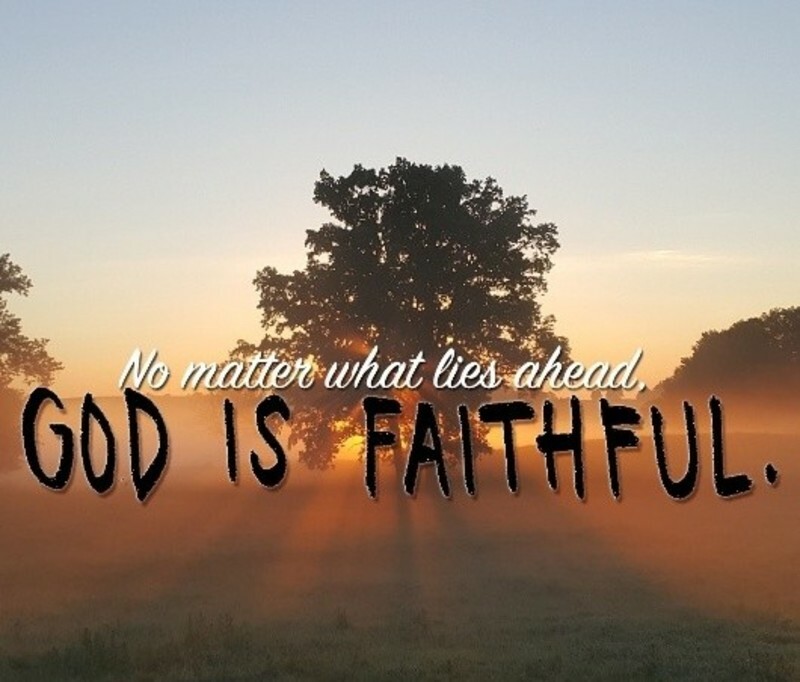 Regardless of what may be going on in your life, God will be faithful to walk with you. He loves you and His desire is for you. Since July, I have shared a series of messages on God’s faithfulness. We came to understand that God is faithful to respond to our prayers, to stay with us, to meet our needs, to bring good out of bad and to wipe away all our tears and then ended up with the faithfulness of God’s love. In the beginning I had placed 12 rocks at the front of the church. I shared from Joshua 4 where one man from each of the twelve tribes was commanded to get one stone out of the Jordan and stack them up. It was to be a sign so that when children would ask ‘what do these stones mean to you’, they would tell them how God had brought the people across the Jordan on dry ground. As I began each of the sermons, I asked a person in the church to give a testimony of how God had been faithful in their life in the one area that we would be looking at on that day. They each one did an awesome job of sharing how God had been faithful in their lives in each of the areas. After they shared their testimony they would place another stone on the twelve already there. So there were six more stones added to the pile of stones that were originally placed there. All in all it was a great reminder of the faithfulness of God in our lives. We have determined that we will move this pile of stones from inside the church to a place outside. We decided to do this because in the years to come when someone sees those stones and asks – ‘what do these stones mean’, the message of God’s faithfulness will be shared. It is my prayer that those stones will be a continual reminder to those who will come to Christ in the coming years and they will be reminded that God is faithful. They may never cross Jordan on dry ground, but they may face a time when God walks with them through a difficult time in their lives. I’m not sure if anyone will ever ask about the stones that will be placed outside the church or not. Yet, wouldn’t it be awesome if 20 years from now, a child looks at them and asks – “What do these stones mean?” This would open the door for someone to share that God is faithful with them. You may not have any visible stones in your life, but remember that you can still let people know that God is Faithful.